This product replaces a little foot stool for my Pug son. He uses it to assist him in getring up on the sofa. It is a rich and vibrant sapphire blue and is the perfect height and size for his needs. I did take 1 star off as the legs are very cheap. The one that this replaced was exfeptionally well made and hand crafted. It was handy that the legs came in a zippered compartment in the underneath side of the stool. The fabric is very nice. I was looking for a stool that was padded and not very tall. This truly fit the bill. 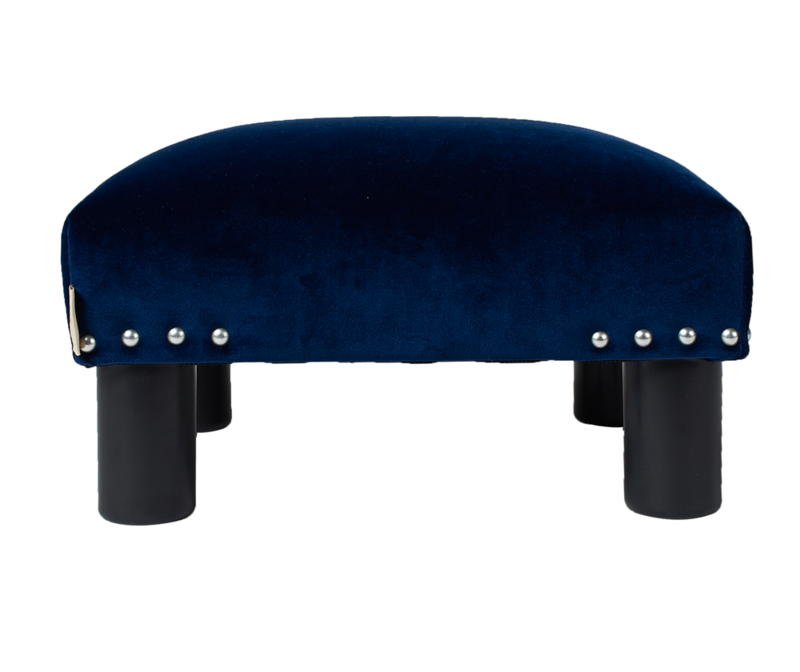 Delightful footstools - the low profile works great with our club chairs. The color is true to the pictures online and the stools have held up nicely. The only problem we have had is that our white dogs' fur really shows up on the blue upholstery. So very thrilled with this foot rest. It is under my desk at work and no one can see it because of it's darks color. I have had two foot surgeries and it is imperative my right foot stays as prone as possible. This ottoman is a gift. Sturdy and useful. Happy with my purchase! BEAUTIFUL! PRETTIER THAN THE PICTURE! WELL MADE! A beautiful color and prettier than the picture shows on my computer. I must admit that I was very wary about the legs being made of plastic. 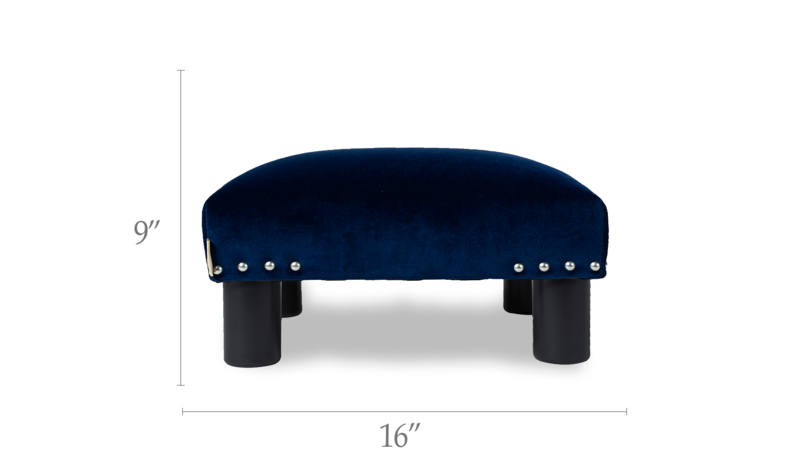 I liked the look of the foot stool enough to take a chance and order it anyway. I am happy to report that unless you feel the legs, from a distance they look like wood and do not detract from the look. The foot stool is sturdy and I expect it to hold up well. I highly recommend this foot stool, if it fits into your decor. Love the navy blue color! Great accent piece.